Black & White has made a popular brand name for itself. 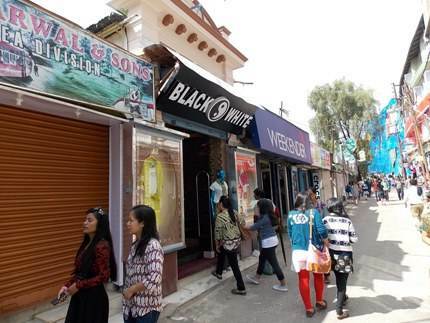 Ask any local young lady in Darjeeling which store she frequents most for fashion wears, bags and shoes, 9 out of 10 will mention Black & White. The store has several outlets in Darjeeling. The original one is on a narrow lane (17/3 N B Singh Road) which originates from the Gandhi Road traffic police point area below Keventer's and goes down to Chowk Bazaar. You can actually see that prominent and large shop below from Gandhi Road. But few tourists actually tread that narrow and congested road, as most of them shop around along Nehru Road that leads up to the Mall. So Black & White had to find a prominent space on Nehru Road, which they finally did. 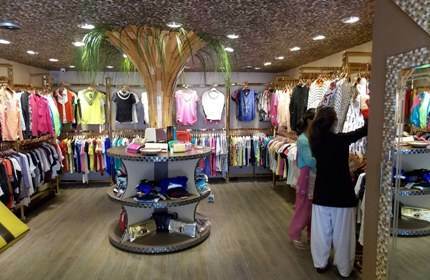 They have opened a new outlet on Nehru Road in September 2014. Dawa Bhutia, the proprietor and the owner of Black & white is an enterprising young man and administers the shops himself. The new outlet on Nehru Road has taken over the space where there used to be a photo store. It is a duplex kind of a set up where a stairway from inside goes up to the upper floor. The shop has been decorated with lot of details and looks really attractive. 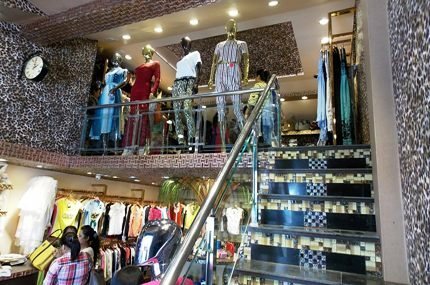 Black & White essentially sells women's fashion wears including tops, pants, shirts, jeans etc. They also sell pure leather and other fashion bags. The original store also has a stock of ladies shoes. Almost all items are imported and most come from Bangkok. Black & White is a partner of Darjeeling Tourism Card and offers attractive discount to the card holders.